Call this one awkward. Back when Bungie and Activision were making the ten year contract for publication rights of the Destiny franchise, the two companies came to a deal that would grant Bungie an extra $2.5 million "Quality Bonus" if the game scored high enough on review aggregate sites. Apparently, as reported by Kotaku, if the game scored at least a 90 percent on GameRankings.com, Bungie would get the extra money. However, as scores slowly roll in, Destiny currently sits at 76.03 percent for the main PlayStation 4 build of the game at GameRankings and a 76 on Metacritic, the new standard for aggregate sites. Both are way shy of the required scores. Activision shall pay to Licensor a quality bonus (the "Quality Bonus") in the amount of Two Million Five Hundred Thousand Dollars ($2,500,000) should Destiny Game #1 achieve a rating of at least 90 as determined by gamerankings.com (or equivalent reputable services if gamerankings.com is no longer in sen/ice) as of thirty (30) days following the commercial release of Destiny Game #1 on Xbox 360. According to the contract, Bungie has thirty days from he game's launch to obtain the 90 percent, but seeing as how it is in the mid 70s, chances are that will not happen. Most review sites are holding off on their scores because of the massive scope of the game, instead leaving it with a "review in progress"status. Kotaku admits that the contract has been reworked since this 2010 version, and is unsure of where the new requirements are. The contract provided only mentions the Xbox 360 version of the game, back before the PlayStation 3 version was confirmed and the current-gen consoles were even official. Bungie could very well be in for the bonus if they lowered the requirements enough. However, the crazy part of this story is that video game critics are able to determine the bonuses granted between two major video game companies. Especially GameRankings, which takes scores from just about any video game critic site, including us! 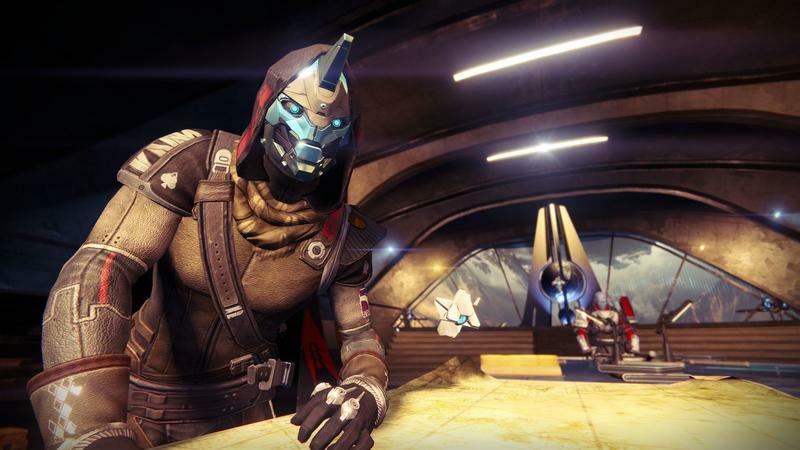 Not that it matters anymore since Destiny is one of the first game reviewed under our new review guidelines, but still, why the heck would anybody put their fate in our hands?